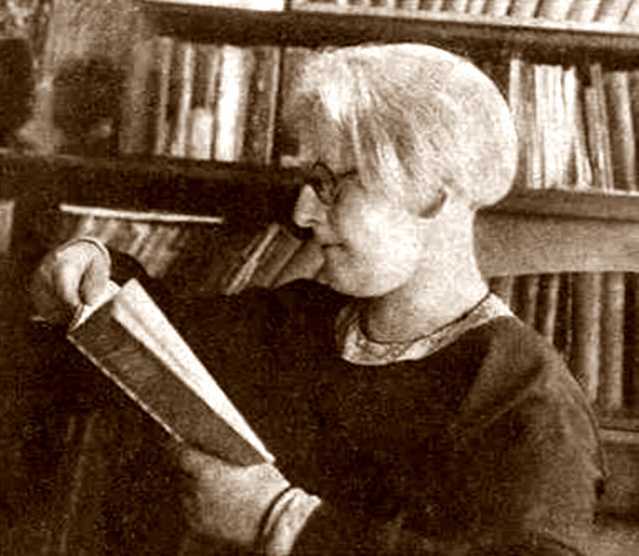 A short biography of Etta Federn, Austrian litterateur, anarchist and educationalist. Etta Federn was bornon April 28th 1883 in Vienna, the youngest daughter of an assimilated Jewish family. She was the daughter of the suffragette Ernestine Federn and the doctor Salomon Federn and the sister of Paul, who became an analyst, Karl, who became a lawyer and writer, and Walter who became a journalist. She had an education on an equal footing with her brothers. She studied literary history, German and Greek literature. After graduation she began to study German and philosophy. In addition, she received a broad education in foreign languages. She broke with her family and moved to Berlin, where she completed her studies with a thesis on Faust. She earned her living there first as a teacher and then as a translator from English, French, Danish, Russian and Yiddish. She translated Alexandra Kollontai, Hans Christian Anderson and Shakespeare. She worked as a literary critic for the newspaper Berliner Tageblatt. She published many biographies including those of Dante and Goethe. At the same time she began to write essays, biographies, autobiographical, stories, a play and poems. She married twice, both marriages ending in separation. She made contact with the anarchist movement in Berlin and began to participate in the activities of the German anarcho-syndicalist union the FAUD (Free Workers' Union of Germany - Freie Arbeiter Union Deutschlands), contributing articles to its press on a regular basis. She began to make many friends within this movement. The anarchist movement in Berlin attracted in Etta’s own words many “self-motivated Jewish women who offered their intellectual, emotional and political support to the ideas of social revolution, free education, the importance of cultural work, women’s emancipation and the importance of solidarity and responsible behaviour”. She met Emma Goldman, Mollie Steimer, and Sonia Flechin, among others. In particular, she maintained a close friendship with Rudolf Rocker and Milly Witkop for life. She took an active part in the women’s organisation founded by the FAUD, the Syndikalistischen Frauenbund -Syndicalist Women’s Organisation (SFB). She received death threats from the Nazis as a result of her biography of the liberal politician Walter Rathenau, murdered by right wing officers, which was published in 1927. In addition the forces of reaction put pressure on the newspapers and publishing houses she usually wrote for, so that her sources of income began to dry up. She left Germany for Barcelona in 1932, at the age of 49 with her two sons. In 1933 her books were amongst those destroyed during the Nazi public book burnings and she was placed on the Nazi blacklist. In Barcelona she received continuing support from the anarchist circles still in Berlin, and in turn she was able to welcome those fleeing to Berlin later. She was able to adapt quickly to Barcelona, writing articles for the Spanish press within weeks and starting to learn Catalan. However, she remained financially straitened, and had to rely on small but regular transfers of money from her close relatives in the USA. During the Spanish revolution she joined Mujeres Libres (Free Women), the anarchist women’s movement, in July 1936. She taught literature, language and education at the cultural centre set up by Mujeres Libres, the House of the Woman Worker, was based on the teachings of the Spanish libertarian educationalist, Francisco Ferrer. Later , in 1937, she founded, in collaboration with Mujeres Libres, four libertarian schools in the Catalan city of Blanes. These schools, of which she was the director, trained teachers as well as teaching children. They were co-educational, with an orientation towards atheism and antimilitarism, and designed to have an anxiety free, stimulating and caring atmosphere for children. In May 1937 she returned to Barcelona and had her book Mujeres de las Revoluciones , which included biographical sketches of twelve famous women, published by Mujeres Libres. In 1938, because of the massive bombing raids on Barcelona she left for Paris with her two sons. Between 1940-1945 she moved to Lyons. She was by now completely exhausted physically and sometimes seriously ill. Despite this, she engaged in resistance work through translations, propaganda work and organisation. Her oldest son Hans died in 1944 in the fighting at Vercors. Paradoxically it was because of this that she became entitled to French nationality and a small monthly pension, although she remained in poverty until her death in Paris ion May 9th, 1951. She features as a literary personality in a novel of the Swedish anarchist writer Stig Dagerman (who had married the German anarchist Annemarie Goetze) Skuggen av Mart (Stockholm 1947) and in Utan Vaiaktig stad (Stockholm 1948) the novel of another Swedish writer, Arne Fosberg. Interesting. Have not heard of her before.